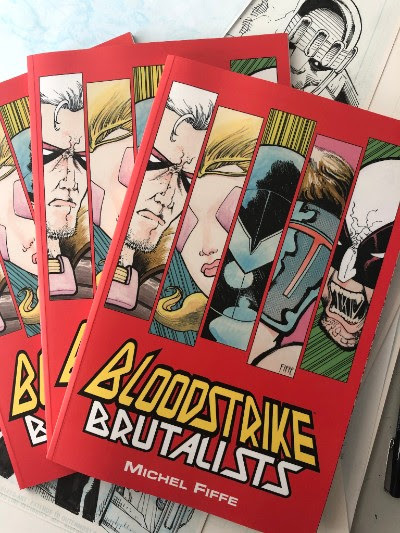 Another publisher with a 40% off sale is Liefeld Creations who are also sweetening the deal by including a signed copy of Bloodstrike Brutalist with every order. Dark Horse Comics is taking 50% off all digital downloads at digital.darkhorse.com. 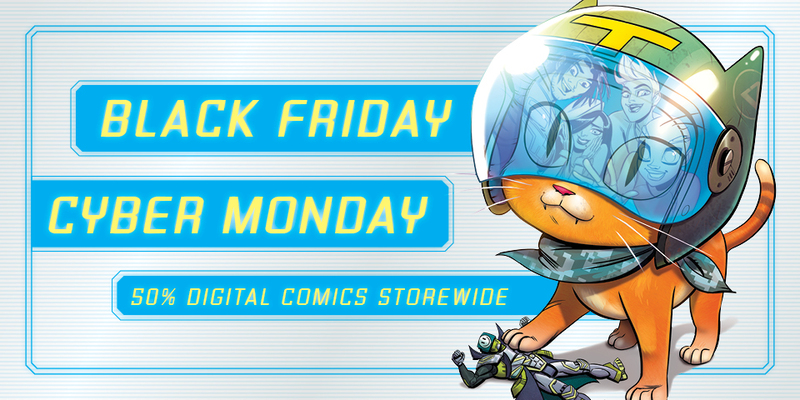 DC Comics announced on their blog they are having a Buy-One-Get-One Free (BOGO) CyberMonday sale through Comixology.com and ReadDC.com. Marvel Comics also has sales as deep as 78% off through Comixology.com and their site comicstore.marvel.com. 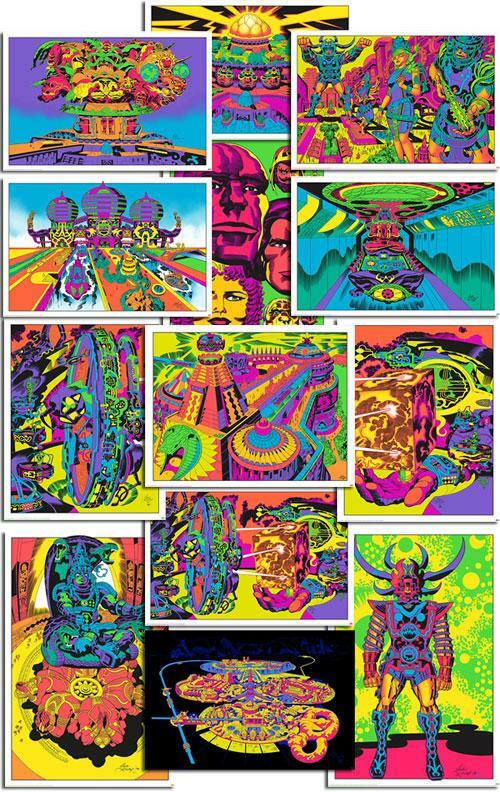 Heavy Metal Magazine has markdowns throughout their store, including Jack Kirby/Barry Geller Lord of Light blacklight prints. A favourite with manga artists but used frequently with other styles of comic art, Clip Studio’s Paint Pro and Paint EX are now half price. The grandaddy of creative programs, Adobe is offering 25% off their Creative Cloud products which include Photoshop, Illustrator, Acrobat, and more! The Joe Kubert School of Cartoon and Graphic Art have marked down their correspondence courses and are selling them BOGO Free.